3D mech fighting makes it way to the PlayStation 4 when Override: Mech City Brawl releases December 4, 2018. These epic battles are already getting started with a closed beta happening August 10-12, 2018. 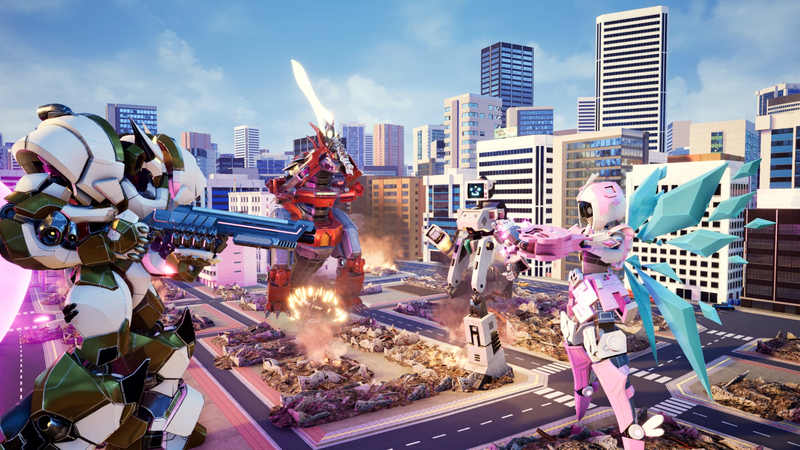 Go toe-to-toe with giant robot opponents in cities based off real-world locations. The content in the beta will be limited but you’ll still be able to play all 12 mechs, experience local and online brawling, and the different maps. Players can engage in two-to-four player matches in Override: Mech City Brawl. The solo campaign and co-op modes will be off limits for now as well as any skins, accessories, or additional match types. The team is using this beta as a way to get feedback so they can make tweaks to the combat and re-balance the characters as necessary.